This control is intended for selecting a date from a cube time dimension on a calendar form. The list of selectable dates in the calendar is formed of the [Day] level elements of the time dimension (for example, [Date].[Calendar].[Date]). 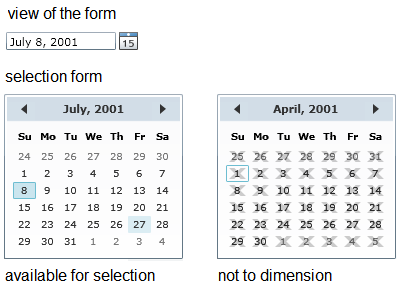 In other words, the user can only select a date that exists in the dimension.